As we draw ever closer to Giving Tuesday, we wanted to take a moment to consider what the day is and what it means, and how you can help us make a difference to thousands of people. On the 27th of November, MOAS will once again take part in Giving Tuesday, a global day of giving in the week following Thanksgiving. Launched in the US in 2012, the day is a reaction to the consumerism of Blank Friday and Cyber Monday, and gives everyone a chance to join in with a global movement and donate to important causes. MOAS has been taking part in Giving Tuesday since 2014, and over the last four years we have benefited tremendously from the public’s generosity. 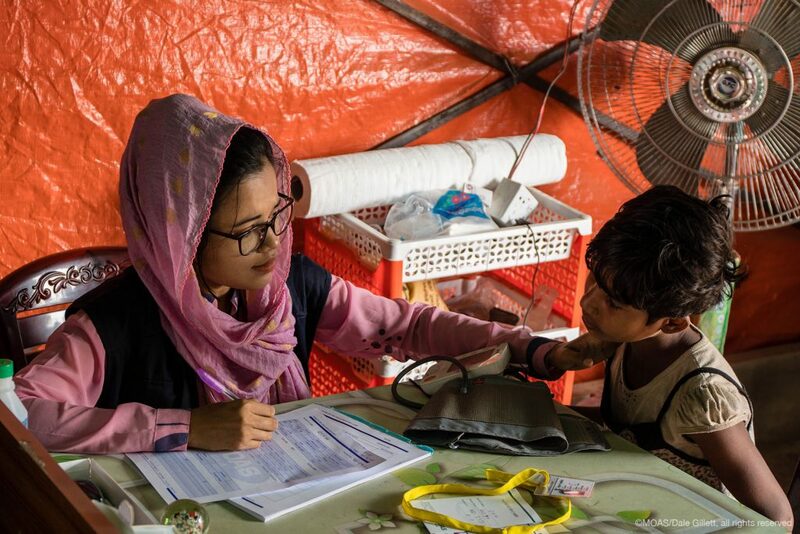 Since 2014 we have rescued and assisted more than 40,000 people in the Mediterranean Sea and provided over 80,000 Rohingya refugees and host community members in Bangladesh with desperately-needed medical care. We couldn’t have provided these lifesaving interventions without the generosity of everyone who donated to the MOAS cause, and Giving Tuesday is a lynchpin in our fundraising calendar. In 2016, supported by Michael Fassbender in this message, we received nearly $50,000 on Giving Tuesday alone. 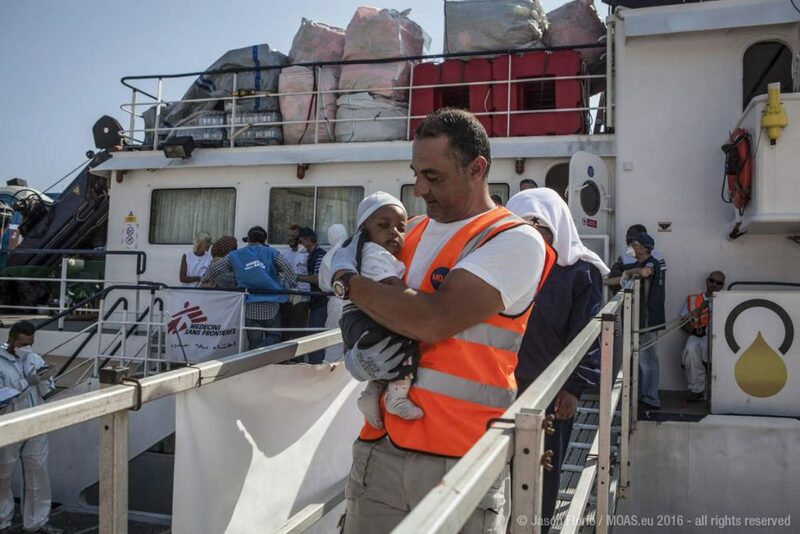 This allowed us to continue to operate our two search and rescue vessels in the Mediterranean Sea, providing a lifeline to people forced to attempt dangerous sea crossings while fleeing violence, poverty and persecution. On last year’s Giving Tuesday we raised more than $24,000, just two months after we moved our operations from the Mediterranean to Bangladesh. Since August 2017 over 706,000 Rohingya people have fled extreme violence in Myanmar and sought sanctuary in Bangladesh. There, with the help of our Giving Tuesday donations, we have to date provided over 80,000 people with desperately needed medical care via our two primary health centres and delivered over 40 tonnes of humanitarian aid by sea. This year, we are raising funds to ensure that we can continue to provide emergency humanitarian interventions wherever they are needed. A donation of just $8 allows MOAS to treat a patient in need, and as November approaches we are calling on our supporters to help us provi for the same cost of day-to-day treats, such as a cinema ticket or an ice cream sundae. We are aiming to raise $25,000 on Giving Tuesday this year, an amount that would allow us to help more than 3,000 people. This Giving Tuesday, with your help, we can make a difference to thousands of the world’s most vulnerable displaced people. Make sure to follow us on Facebook, Twitter and Instagram to get all the updates about our Giving Tuesday campaign, or sign up to our newsletter at the bottom of this page to follow our vital work.